We have different Products in this group to help in the measurement of Pressure. We have pressure Gauge adapters, that are fixed to the Pressure gauge at one end and teh other to a Minimess Hose. Also we have pressure transducers taht can be mounted to the line directly of size 1/4" BSP. These transducers are from Webtec U.K.
We are instrumental in providing our clients a comprehensive range of Pressure Transducer. 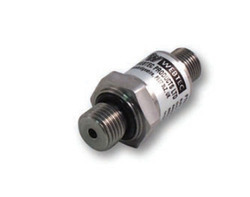 These pressure transducers are designed for continuous monitoring of oil, gas, water, hydraulic and other pressure media in mobile equipment, industrial hydraulics, compressors and process control equipment. Our offered pressure transducers are inspected on numerous parameters in order to supply flawless range to customers. The compact construction makes it ideal for installing where space is at a premium. Aimed at prosper growth in this field, we are occupied in providing finest quality Digital Pressure Gauge that simultaneously displays peak pressure, actual pressure, battery level and the engineering units selected. These pressure gauges are designed for continuous monitoring of oil, gas, water, hydraulic and other pressure media in mobile equipment, industrial hydraulics, compressors and process control equipment. Offered pressure gauges are quality checked on several quality parameters to ensure their defect free range. Keeping in mind the variant requirements of our copious clients, we put forward a broad range of Hydraulic Pressure Gauge. This pressure gauge is precisely manufactured with superior quality material & leading techniques under the supervision of professionals. 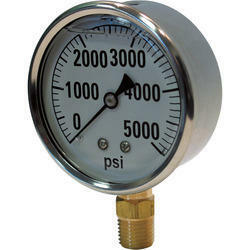 Our offered pressure gauge is designed to perform stable working in various industrials and applications. We are giving this pressure gauge to our customers at industry leading rates. Our reputation in the market is largely attributable to our precision-designed Pressure Gauge Adaptors. 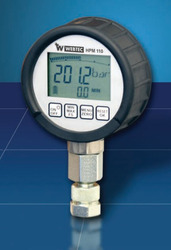 Offered gauge adaptors are provided in diverse specifications to choose from. These gauge adaptors are manufactured with precision utilizing top notch material & latest techniques following the industrial norms. Our offered gauge adaptors are highly recommended for fitment of pressure gauges, where leakages are eliminated.